LONDON — Facebook said it blocked 115 accounts for suspected “coordinated inauthentic behavior” linked to foreign groups attempting to interfere in Tuesday’s U.S. midterm elections. Facebook acted after being tipped off Sunday by U.S. law enforcement officials. 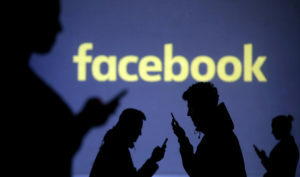 Authorities notified the company about recently discovered online activity “they believe may be linked to foreign entities,” Facebook’s head of cybersecurity policy, Nathaniel Gleicher, wrote in the post. Facebook acted after being tipped off Sunday by U.S. law enforcement officials. U.S. tech companies have stepped up their work against disinformation campaigns, aiming to stymie online troublemakers’ efforts to divide voters and discredit democracy. Facebook’s purge is part of countermeasures to prevent abuses like those used by Russian groups two years ago to sway public opinion ahead of the 2016 U.S. presidential election. Also on Monday, Facebook acknowledged that it didn’t do enough to prevent its services from being used to incite violence and spread hate in Myanmar. Alex Warofka, a product policy manager, said in a blog post that Facebook “can and should do more” to protect human rights and ensure it isn’t used to foment division and spread offline violence in the country. Facebook, Twitter and other companies have been fighting misinformation and election meddling on their services for the past two years. Facebook, Twitter and other companies have been fighting misinformation and election meddling on their services for the past two years. There are signs they’re making headway, although they’re still a very long way from winning the war. Facebook, in particular, has reversed its stance of late 2016, when CEO Mark Zuckerberg dismissed as “pretty crazy” the notion that fake news on his service could have swayed the presidential election. In July, for instance, the company said that its spending on security and content moderation, coupled with other business shifts, would hinder its growth and profitability. Investors expressed their displeasure by knocking $119 billion off Facebook’s market value. One problem is that it’s not just agents from Russia and other nations who are intent on sharing misinformation and propaganda. There is plenty of homegrown fake news too, whether in the U.S. or elsewhere. Still, Facebook is seeing some payoff, and not just with the accounts it has been able to find and take down. A recent research collaboration between New York University and Stanford found that user “interactions” with fake news stories on Facebook, which rose substantially in 2016 during the presidential campaign, fell significantly between the end of 2016 and July 2018. On Twitter, however, the sharing of such stories continued to rise over the past two years.